"Pure acoustics" for mixing drums and percussion. 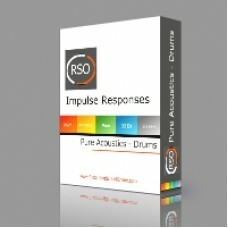 A massive collection of 335+ Impulse Responses recorded at highest quality. Over 420 Megs of professional studio quality Impulse Responses compatible with most convolution reverbs.